Traditions are the basis for lifelong memories. Many of us have special traditions that correlate with the holidays. For me, it’s a double bonus when a tradition also includes a great book or other literacy activity. When my husband and I married, we decided that we would start a Christmas Eve tradition of making tamales. 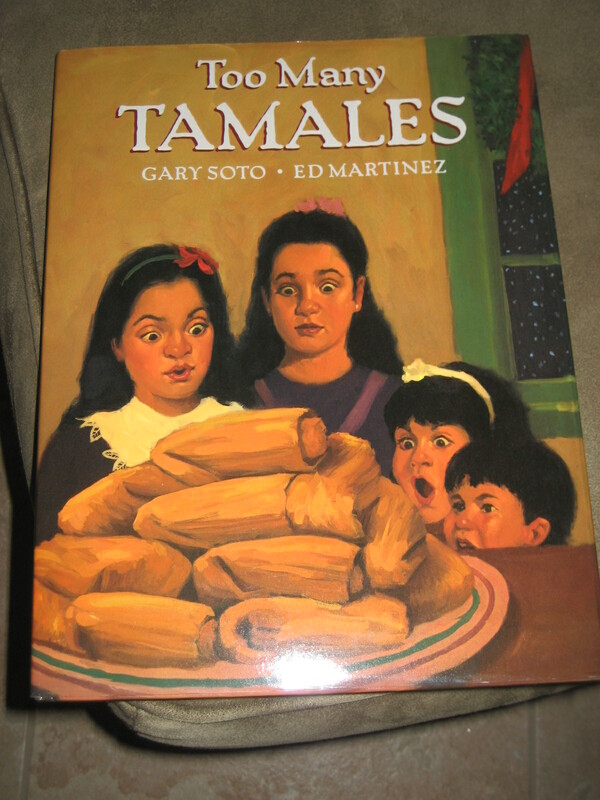 I, of course, immediately thought of the book Too Many Tamales by Gary Soto & Ed Martinez and knew that the book would have to be incorporated into our annual Christmas Eve tamale making all day event. So, even though we didn’t have kids at the time, my husband got to enjoy me reading him a children’s picture book during our dinner. Now that we have our son, it might not seem so odd to him when I read the book each Christmas Eve. In Too Many Tamales, Maria decides to put on her mom’s wedding ring which her mom has taken off to prepare the meal. Maria begins to help making the masa for the tamales and forgets that she has it on. Later, she realizes that the ring is missing and that all the tamales have been cooked. What should she do? Well, she and her cousins decide to eat all the tamales to find her mother’s ring. This is a family story that is matched with beautiful warm illustrations. 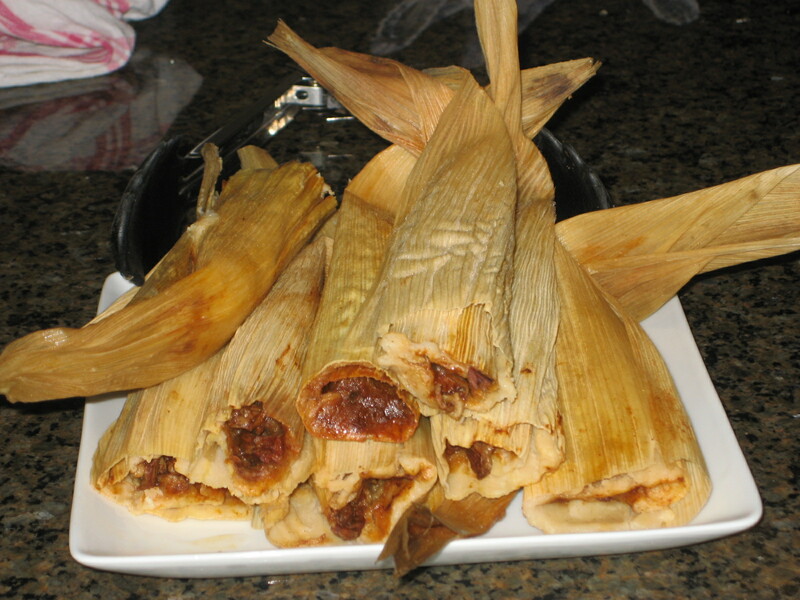 Now, if my family could just settle on the perfect tamale recipe, we would be set! Do you have a family holiday tradition that includes a great book or literacy activity? Please share your ideas. Happy Holidays! Great tradition. And, I love tamales, but haven’t had them in years. The book is perfect to go with your blog. Traditions — we always open one present on Christmas Eve — new PJs. As for food, cinnamon rolls for breakfast — our daughter now makes them for the entire family. I left you a note on your blog the other day, after you left me a message in my “about” section of my blog. Don’t see it there, so it must not have worked. Thank you for your comments. Thank you for your comment. I think I might have to start the cinnamon roll tradition. I love that the smell of freshly baked rolls.